Dr. Drexler earned his PhD in Anthropology from the College of William & Mary in 2013, focusing on the archaeology of the Civil War home front of southwest Arkansas. A specialist in conflict studies, geographic information systems, historical archaeology, forensic archaeology, landscape studies, historical memory, and research methods. He also holds a BA in anthropology from Grinnell College, Iowa (2002) and a master’s in anthropology from the University of Nebraska (2004). 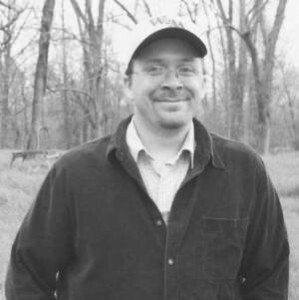 He has worked as an archaeologist for the National Park Service’s Midwest Archeological Center, the Colonial Williamsburg Foundation, the William & Mary Center for Archaeological Research, and the U.S. Army Engineer Research and Development Center. He is currently the station assistant at the Arkansas Archeological Survey’s office at SAU. He is currently a member of the Society for Historical Archaeology and Society for American Archaeology. Pennsylvania-born and Texas-bred, Dr. Drexler has been working in Arkansas since 2001. In addition to the Natural State, he has worked in numerous states in the American Southeast, Midwest, Southwest, and Mid-Atlantic, along with the Caribbean and Mexico.